Intermountain Martin Doors is a family owned business, started in 1981 by Jeff Barker, who is now joined by his son Jake. As a veteran in the industry, Jeff knows the “ups and downs” of all brands of doors and openers on the market and specializes in garage door replacement, broken springs and garage door tune-ups. Jake has grown up in the business, working with his dad since he was a little guy, and he's been a full-time installer and service tech since 2000. Between these two men, you can be confident that your garage door needs will be met. From a new door on your home to the smallest repair, Intermountain Martin Doors takes care of its customers. “We appreciate our customers and value the repeat business from them,” says Jake. Intermountain Martin Doors strives to give timely, economical and professional service to all customers, old and new. We pride ourselves on our high-quality services and cost-effective repairs. Martin Doors offer over 20 advanced safety features protecting both children and adults. 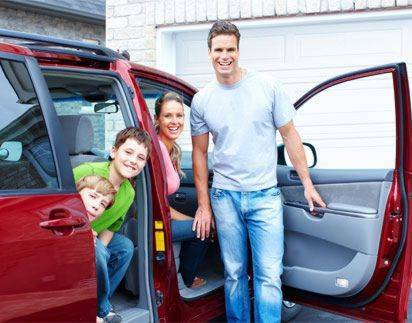 Whether you need a new garage door, an annual tune-up or maintenance anywhere in Payson, Orem, Provo or Heber City you can trust us to take care of your problems. Just give us a call at 801-224-2649 and we'll take care of the rest!